Fear the Wolves Preview - Are You Ready? Fear the Wolves Preview – Are You Ready? I would say Battle Royale is one of the most exciting, blood pumping, nerve wracking games on the face of the world. There are a few FPS shooting games out there that can make you scream and give you chills all over your body and this game is one of them. 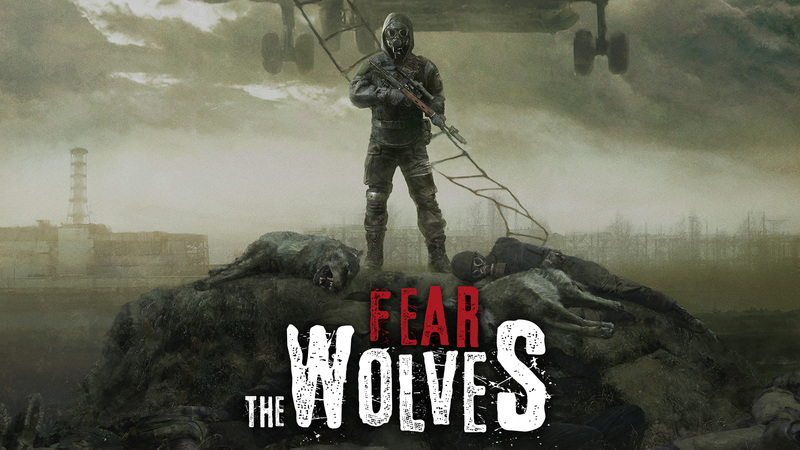 Fear the Wolves is a competitive Battle Royale FPS shooting game published by Vostok Games. Pretty much like other Battle Royal shooting games, it’s a game where all players are deployed in a map, killing each other and win the game by becoming the only player left. You start off in an area where you will wait to be deployed by a helicopter. Once your onboard, you will pick your spot where you want to be deployed. Yes, pretty similar to other battle royale games. Once you deploy your parachute and land on the ground. You need to quickly look for weapons and items which is not new for battle royale players. However, the tricky part is, it’s not that easy to look for items. You are considered lucky if you really find a nice item like a vest or anything that will give you a boost in the game. Vehicles are also available and as well as a wide variety of weapons. There are also, anomalies, mutants and radiation that you need to look out for. Which is pretty unique. There are also some unique stuff that cannot be seen in other battle royale games, like hopping on to a rope for an elevation and view of the surroundings, which might be an advantage or a disadvantage as enemies can see you clearly from the ground. Similar to other battle royale games, you can customize your looks from head to toe. You will be rewarded with in game currency to purchase stuff like costumes. You can also customize the way you look like hairstyles, face accessories, face camouflage, and hats. I think the developers need to improve their matchmaking in this game. This is one of the things i didn’t like in the game. I think it would be better to improve their matchmaking, like more game modes and map selections. I like the game interface, it’s simple, easy to understand, and decent in my opinion. The main page is nice and they really made their own style and art on the main page. They also have an anti cheat program that will run on the game client which is really good. This way, cheaters won’t be able to exploit the game and bully other players. When it comes to graphics, I think it’s the best so far, in my opinion. From the foggy environment to the colorful reddish grasses, not to mention the flowers, are such a beauty and looks really good. It’s like a battle royale horror game. Cool huh? I would say, the terrain is one of the good stuff in the game. Even though battle royale games are almost identical, uniqueness is something players would love to see, and I think this game brought it on the table. I believe that many more unique stuff will come to this game. I really like the game graphics, environment, and the FPS style battle royale. The only thing that I didn’t like is even though there are unique and original stuff in the game, it’s still really similar to other battle royale games. I also didn’t like the matchmaking, it lacks game modes and the queue is quite slow, it took so long for me to find players. Overall, I like the game. It’s worth to play and I think it will be huge.